First for Women gives readers the tools and inspiration they need to feel great, look beautiful and love every dimension of their life. Published every three weeks, it delivers positive information on everything from health and nutrition to beauty and fitness to home and family. Eat This, Not That! originated as an online-only publication. Since 2007, it has been transforming the way restaurants and individuals look at healthy eating. Thanks to its work, chains are introducing healthier options and sharing calorie counts on their websites and stores. This magazine is your go-to source for weight loss, food swaps, and smart nutrition. Its pages are packed with tips, tricks, and recipes to get you the body and the life you want, and to change the industry along the way. First for Women is a women's interest magazine that gives its readers the tools and inspiration they need to feel great, look beautiful and love every dimension of their life. Published every three weeks, First delivers positive information on everything from health and nutrition, to beauty and fitness, to home and family. With an understanding that women have busy lives, First for Women delivers helpful tips and credible information you can't get anywhere else. The magazine provides numerous motivational articles on living a well-rounded life, nurturing family, owning a pet, preparing healthy menus and just having fun! Each issue also comes with a 20+ page pull-out-and-save cookbook that's packed with original recipes for easy, healthy meals! First for Women is very visual, with lots of quick tips and advice that make it easy to read as your schedule allows. Who Reads Runner's World Magazine? Runner's World will motivate and inspire you. Each monthly issue of Runner's World brings you advice on new running techniques, introduces you the latest running products and national and international race information. You'll find the strategies, tips and advice to fuel your performance, prevent injuries, burn fat, shed stress, and achieve your personal goals. Runner's World is filled with the powerful information that will help you run faster and farther and have more fun doing it. What You Can Expect in Each Issue: Regular section of Runner's World include: Training Techniques: Tips from the Professionals to help you achieve your personal best Shoe Guides: Detailed Guides providing a comprehensive analysis of the newest running shoes Inspirational Stories: To motivate and encourage every runner Safety Advice: Tips to keep you safe to insure you have the run of your life Recipes for a Runner: Nutritional and Delicious Recipes to prepare you for any type of race Races & Places: Keep informed of the upcoming race events in your area Feature Articles: Include Marathon Spring Training Guide,Food Fuel, What to Eat and When to Eat it,The Essential Got-to-Have Shoe Review, and Races & Places Review of Today's most challenging races and the Runner's who tackled them.The Kindle Edition of this magazine includes Page View. In Page View, your magazines look just like the printed edition with all the photos and formatting. “Clean Eating” are two words that totally changed how America eats! The soul of Clean Eating is consuming foods the way nature delivered it, or as close to it as possible. It is not a diet, it’s a lifestyle approach to food and its preparation, leading to an improved life — one meal at a time. Clean Eating is your home to discover real food for a healthy, happy life. With every issue, our audience comes to us for reliable recipes and important insights on the very latest in health and wellness. Since 2008, Clean Eating has been a trusted brand for inspiring and trailblazing content that matters deeply to our readers and their families. RECIPES With more than 40 health-elevating and creative recipes in every issue, our readers palates are always pleased, plus they develop and hone valuable home cooking skills and techniques that stick with them for life. MEAL PLANNING GUIDES Detailed meal plans, shopping list, budget menus and batch cooking guides in every issue make healthy weeknight cooking easier than ever and have become a cult favorite among readers. IN-DEPTH HEALTH FEATURES We do a deep dive on the most ambiguous health topics—from GMOs to food allergies to brain health—and make them easy to understand yet rich in research. CONDITION-SPECIFIC ADVICE The latest and most innovative vitamin, supplement and herb research, plus real-world recommendations for common conditions with sidebar information on food sources for these all-important nutrients. SHOP-SMARTER GUIDES Because making everything from scratch is simply not possible, we test and review a wide selection of Clean-Eating approved products found in major retailers nationwide so that readers can leave their reading glasses at home and shop with trust and ease. HOW TO LIVE CLEANER What you put in your body is just as important as what you put on and around your body. A nontoxic home and body won’t happen overnight but we’re showing readers incremental steps to living clean by making small changes that add up in a big way, in every single issue. Who Reads Prevention Magazine? Prevention provides lively, trusted, credible family health information that women need in an inviting, invigorating, approachable format. America's leading healthy lifestyle magazine is based on a simple and powerful promise: Make little changes, get big results. Prevention speaks to readers in a reassuring, familiar voice about family health, food, nutrition, workouts, beauty, cooking and more. From easy-to-implement "quick tips" to award winning, cutting edge reporting, Prevention is uniquely positioned to tell readers: Here's what you really need to know, and here's what to do about it. What You Can Expect in Each Issue: News and trends: Prevention's small doses of smart news are compelling, cutting-edge, and actionable. Because our readers want to take their health into their own hands, we cut through controversy and conflicting information to deliver the health research and trends. Beauty: Looking your best is the ultimate expression of good health. That's why Prevention covers both the science and service of beauty, from high-tech to 100% natural. Through product reviews, expert advice, and investigative reporting, we tell our readers everything they need to know about looking and feeling great. Food: Prevention helps America's healthiest chefs cook with confidence and eat with pleasure. We sort helpful science from hyped headlines, translating the latest nutrition and weight loss news into targeted diet and supplement advice. Prevention puts food news and trends into a real-life context with investigative stories, clip-and-save guides, diets that really work, and delicious, no-fuss recipes. Alternatives: Because a healthy life is a balanced life, Prevention delivers the best information on natural medicine. Research-supported news on herbal remedies and other alternative treatments empower readers to stay healthy naturally, and sensible, centering tips on stress reduction help them cope in ways that boost their health and their spirits. Fitness: Prevention inspires readers at all fitness levels to get and stay active whether it's transforming a couch potato or honing a marathoner. 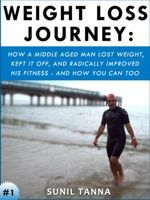 We turn the latest fitness research into fun, results-orient workouts and deliver motivation, practical advice to help make exercise a habit and a fountain of youth. Family: We help readers make their home a comfort zone. From every room in the house to every member of the household, Prevention supplies practical advice to keep the whole family kids and pets included healthier and happier. The Kindle Edition of this magazine includes Page View. In Page View, your magazines look just like the printed edition with all the photos and formatting. Since 1962, BICYCLING has been inspiring people to get more out of their cycling passion. Each action-packed issue is filled with proven secrets to go faster, stronger, longer. Increase your stamina; buy the best gear for your money; locate a great ride; improve your performance; perfect your technique; fuel your passion. The Kindle Edition of this magazine includes Page View. In Page View, your magazines look just like the printed edition with all the photos and formatting. Healthy Food Guide brings together a mix of delicious and nutritious recipes, all tried and tested in our kitchen, informative health features and fitness plans in one glossy compact magazine. Our mission is to help you make positive yet realistic changes that will bring you long-term benefits - we're not about fad diets or false promises. Each issue is like having your own personal dietitian in your bag. Oxygen is the premiere magazine for women of all ages who are interested in living a healthy and fit lifestyle. Each issue contains invaluable information on exercise, health, nutrition and motivation and will be a resource you turn to again and again for information and inspiration. The articles are well-researched and current, and you’ll learn something new each time you open your subscription. Training Features — With clearly illustrated, accurately depicted exercise descriptions and unique programming, these features are appropriate for participants of all fitness levels. Topics include everything from kettlebells to CrossFit, strength training to surfing, mobility to movement mechanics and everything in between. Every issue is carefully curated, delivering the best, most effective training possible for fat loss, weight loss and maintenance, muscle toning and strength, as well as athletic performance. Nutrition Features — Clean eating is at the forefront of this publication, and each issue contains healthy recipes, comprehensive meal plans, and the lowdown on diet trends such as Paleo, organic, Whole30, gluten-free and more. Topics such as vitamins and minerals for athletic women, eating for recovery, macronutrients, cooking methods and other such items of interest appear regularly. Health and Motivation — Women are amazing and strong, and our health is of the utmost importance. Articles on mental health, motivation, the female body, mind-body connectivity and the like are thoroughly researched and delivered in a comprehensive, user-friendly way. Whether you want to lose a couple of kilos, boost your fitness, eat well or get more out of your life and relationships, Women's Health's experts will help you look and feel your absolute best - because it's good to be you (we're just here to cheer you on).